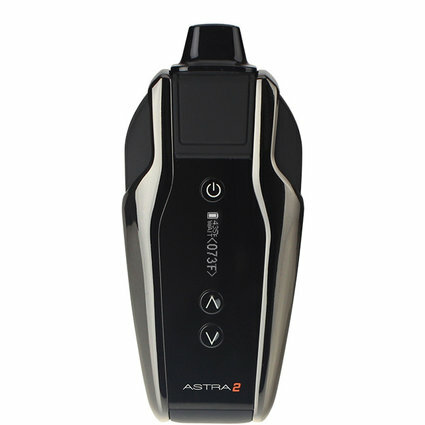 The Atmos Astra 2 is a powerful, compact dry herb vaporizer with great comfortability in the palm of your hand. With amazing features built-in, including: OLED screen, scratch resistant, anodized housing, temperature control system from 300°F to 435°F. The dry herb chamber is made of ceramic, and holds a large amount of flower. The moving parts inside the compact Astra 2 are housed inside scratch-resistant anodized stainless steel.No more worries about scratching your beloved in your pocket or your purse! In terms of mouthpieces, the Atmos Astra 2 is unique in that it includes 2: a glass mouthpiece and a plastic flat mouthpiece. Both are equally easy to install and remove. The battery is Lithium-ion, takes around 3 hours to charge, and lasts for about an hour of continuous use. There are a few steps to follow before you are ready to smoke. To load the dry herb, simply move the mouthpiece forward or remove it completely. The chamber is easy to access underneath. To turn on the Astra 2, press the power button 5 times. You will know your device is on, because it will vibrate and the screen will light up. There are two other buttons on this Atmos, and they control the temperature. After you choose your desired heat level, press the power button once to start heating. The vaporizer even displays the word “heat” for clarity. 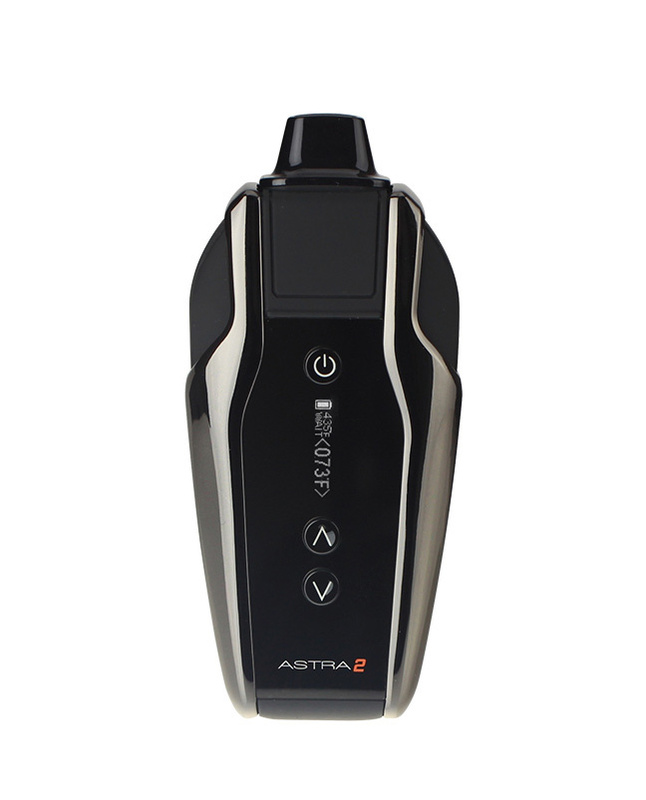 Once the Astra 2 is ready, it lets you know with a vibration and the message “warm”.